...l these things remain truths revealed by the Scriptures, but not fully comprehended by the human mind. Our authority in accepting this statement to be truthful is because the Scriptures teach these things asserted in this chapter, not because our mind can comprehend the truths confessed. ...ok at the attributes of God. Systematic theologies spend several chapters discussing the attributes of God, but here we will merely give a very brief survey of the biblical data for the attributes of God. ...lass="greek"κεφαλή- (kefalh-) language of 1:22 (cf. Schlier, TDNT 3:682; L&N 63.8; M. Barth, Ephesians [AB 34], 1:89-92; contra A. T. Lincoln, Ephesians [WBC], 32-33). We see a variety of translations of the word anakephalaiomai, but one thing is certain, all things will be in/under Christ, whether that means salvation of all people or something else. The easiest translation to understand the meaning of the verse/word seems to be the NET. Paul here is writing about the coming exaltation and Sovereignty of the Lord Jesus Christ over everything that is created. This is further supported by other writings of Paul about the coming reign and exaltation of the Lord Jesus like Colossians 1:16, where we are told “For by him all things were created, in heaven and on earth, visible and invisible, whether thrones or dominions or rulers or authorities—all things were created through him and for him.” All things were created for the glory of the Lord Jesus. All authority is the Lord Jesus’ (Mt 28:18); the Father has put everything under his feet (Eph 1:22; Heb 2:8; 1Cor 15:24-28); the Lord Jesus is the head of all rule and authority (Col 2:10); everyone will bow down to Him, whether as servants or as defeated enemies (Phil 2:10). See also the use of Colossians 1:20 by Universalists or Universal Atonement advocates here. That is a text which to the Sovereignty of Christ much like this passage here. ...All who are given will definitely come. God does not fail to accomplish His purpose, for it is God actually who draws and grants people to come to the Son (John 6:44, 65). He grants the willingness and desire for a sinner to repent and put their faith in Christ, therefore He will not fail. There is a clear connection in verse 37 between those who are given by the Father to the Son and those who come. There is only one group, namely, the group that is given that will also come to the Son. 2. Those who are given by the Father to the Son, will not be rejected by the Son. Sometimes non-Calvinists make a terrible caricature of God's absolute Sovereignty saying that some people want to be saved, but they are rejected by God. We as Calvinists abhor such an idea and protest that no one will come to the Son unless drawn by the Father (John 6:44). Therefore, anyone who comes to the Son, comes by the power and drawing of God and consequently will not be cast out. The Son will not reject those whom the Father has given Him and draws to Himself. They will find Him to be a perfect Savior who has atoned for their sins and provides them an unshakable salvation. 3. We see from verses 38-40 that there is a specific will of the Father concerning those whom He has given to the Son, namely, that they should not be lost. The Son has the duty to protect those whom the Father has given Him. The charge is that He " should lose nothing of all that he has given [Him], but raise it up on the last day." Here we have to ponder if it is possible for the Son to disobey the Father and therefore sin. Just thinking of such a thing is close to blasphemy. In John 8:29 the Lord Jesus Himself claims that "I always do the things that are pleasing to him [God the Father]." If the Son is always obedient to the Father, will He fail at this point? Is it possible for the Son to lose those who are entrusted into His care, disobey the Father and therefore sin? We are talking here of regenerate, justified and in-Christ believers. We are not talking about those who professed to be believers and have rejected that profession. We are talking about those who has been drawn by God to the Son and they were not cast out by the Son. Is it possible for them to be lost? I don't believe that is possible at all. The issue for me here is not at all about the supposed free will of man or any other thing, the issue is about the glory of God. Will Christ be disobedient to the Father and be unable to fulfill the Father's will contrary to John 8:29? That is the issue! The focus is upon God, not man even in this subject. 4. The Son is not to lose the elect who were given by the Father, but rather He should raise them up. So, not only is the charge given to the Son that He should not lose them, rather the charge is given also that He should preserve them unto the last day of resurrection. This portion about perseverance is not spelled out literally in the passage, but could be seen from the fact that we are given assurance that we will not be cast out when we come to the Son, which is the beginning of salvation and the Son is given the charge to raise the elect up on the last day. What about the in-between? It seems clear to me that the Son has also received the charge to preserve them if He has received the charge to raise them up. This expression of raising up is only used in John 6:39, 40, 44, 54 and refers to the resurrection of the believers on the last day (see John 5:29; 11:24). ...ou are nothing, and your work is less than nothing; an abomination is he who chooses you. ...quo; The Lord Jesus is the Supreme and Chief One who is over the Church from whom the Church receives its authority and power. This does not only show that the Church's authority is derivative from Christ, but that Christ alone is the head of the Church and thus has authority over it to rule and govern it as He pleases. The way in which the Lord rules His Church is by Word and Spirit. Ephesians 4:15-16; 5:23-24; Colossians 2:19 speak also of this headship of Christ over the Church. But there are also a couple of texts which speak of Christ's authority and Sovereignty over all creation, not only the Church. Eph. 1:20-23 that he worked in Christ when he raised him from the dead and seated him at his right hand in the heavenly places, 21 far above all rule and authority and power and dominion, and above every name that is named, not only in this age but also in the one to come. 22 And he put all things under his feet and gave him as head over all things to the church, 23 which is his body, the fullness of him who fills all in all. Col. 2:9-10 For in him the whole fullness of deity dwells bodily, 10 and you have been filled in him, who is the head of all rule and authority. Christ the Lord, through His obedience, redemption work, death and indestructible life is seated at the right hand of God, the hand of power and might (Matt. 26:64). All other authorities on the earth derive their authority from God (Rom. 13:1ff; Dan. 2:21). The Lord Jesus, the Lord of glory, is seated, i.e., in the position of ruling and resting from His completed work of redemption, above all the authorities that are in the world. 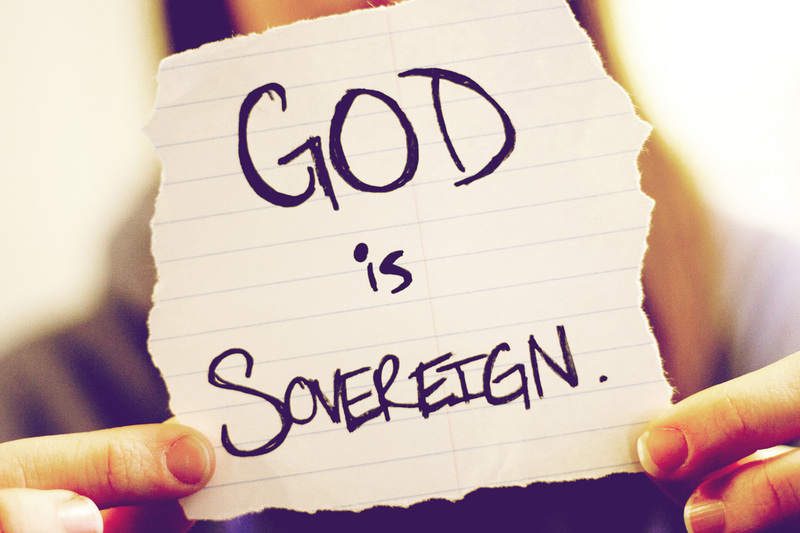 He is above them and moreover, He rules over them. Revelation 1:5 describes Him as “the ruler of kings on earth.” He is above everything that is created and everything that is feared and esteemed in this world by mortal men. The Father has put on display the everlasting love He has for His Son by putting everything under His feet to do with it as He pleases and carry out God's eternal decree. Now we come to our word κεφαλή (kephale) in v. 22. In the previous verses we read of Christ being head of the church, but here we read that He is head over all things to the church, for the sake of the church. Indeed, this confirms His promise that He is with us and we are not fear in the discipling of the nations, because first of all, He has all rule and authority in heaven and earth (Matt. 28:18-20). He is given to us as head over all authority, for our sake and for the good of His body, the Church. He is head, supreme, chief and prominent over all the world and everything that is created and exists. He is head over the ungodly world even as He is head over His body, the Church, and He exercises His sovereign reign for the sake of His church and His glory. Heb. 1:2 but in these last days he has spoken to us by his Son, whom he appointed the heir of all things, through whom also he created the world.